Disclaimer: This post is sponsored by USA Pulses and Pulse Canada, but all opinions are my own. I don’t know about you, but I am constantly on the go in the summer. 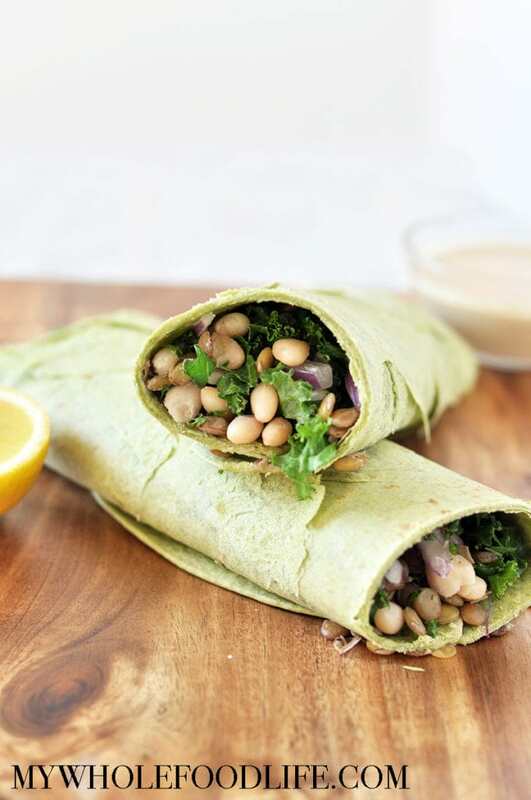 These White Bean, Lentil and Kale Wraps are perfect to take on the go. Just pop them in a insulated lunch sac and you are good to go! Did you know that white beans and lentils are both members of the pulse family? These wraps are packed with good for you ingredients that will keep your energy level up and your appetite satisfied. Did you know know that the UN declared 2016 the International Year of Pulses? This post is sponsored by Sprouts Farmer’s Market, but opinions are all my own. Thank you for supporting the brands that I love! I don’t know about you, but I am just so excited that the warm weather is here. I absolutely love salads for many reasons. They are easy, healthy and convenient. Did you know April 23rd is National Picnic Day? 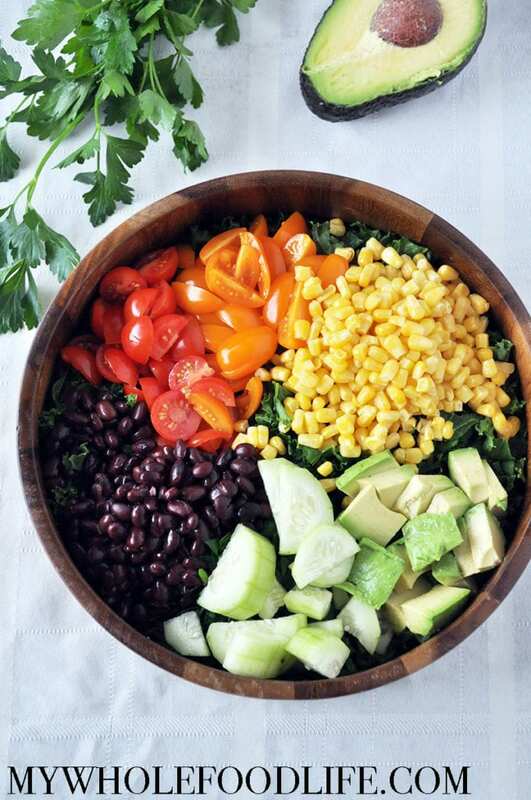 Nothing says picnic better than a healthy salad full of fresh ingredients. If you are looking for healthy salad dressing recipes, check out this post. I was thrilled when Sprouts contacted me because it’s literally my most favorite place to shop EVER. I go there so much that the employees know me and ask how my girls are doing. It’s finally getting cold here in Dallas. Perfect for soup! Especially on this rainy day. 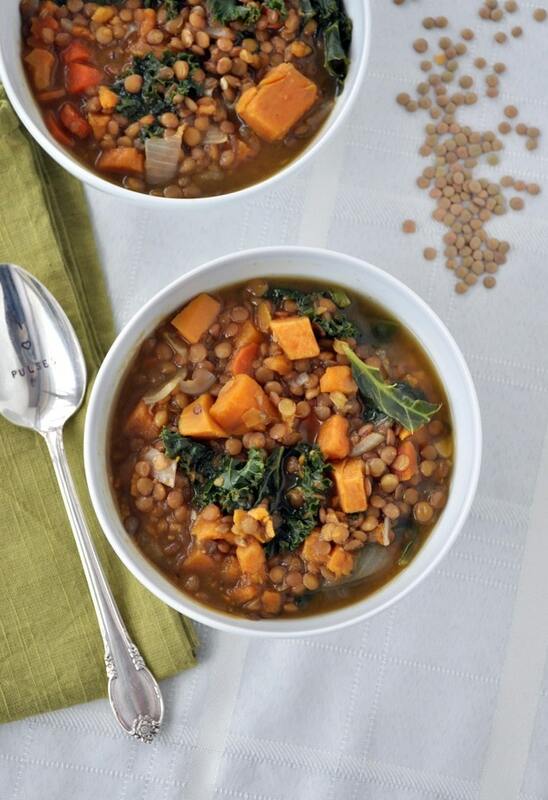 This Lentil Sweet Potato Kale Soup is perfect! Super easy to make and it’s very budget friendly. Did you know that 2016 is the International Year of the Pulses? In addition to this healthy soup recipe, I am here to tell you all about pulses. Pulses are a category of superfoods that include: lentils, chickpeas, beans and dried peas. They are very versatile and can be used in sweet or savory recipes. Just try my Almond Joy Flourless Blondies and you will be a believer. Trust me! My kids love to get lunch at Whole Foods. Every time I go there, I always try something new. I tried the kale salad last time and loved it. It was slightly too sweet for me, so I immediately got the idea to make my own homemade Kale Apple Salad. I think my version came out really good. I hope you do too. 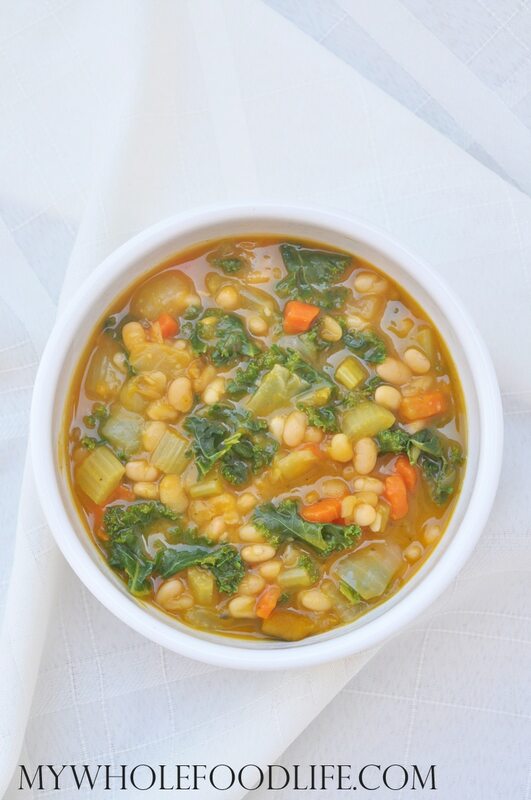 If you love kale, you may also like my white bean kale soup or my balsamic kale chickpea salad. I used to have a really hard time eating raw kale. That is until I found out how to massage kale. It makes the kale so soft in texture and much easier to eat. It’s seriously life changing!! 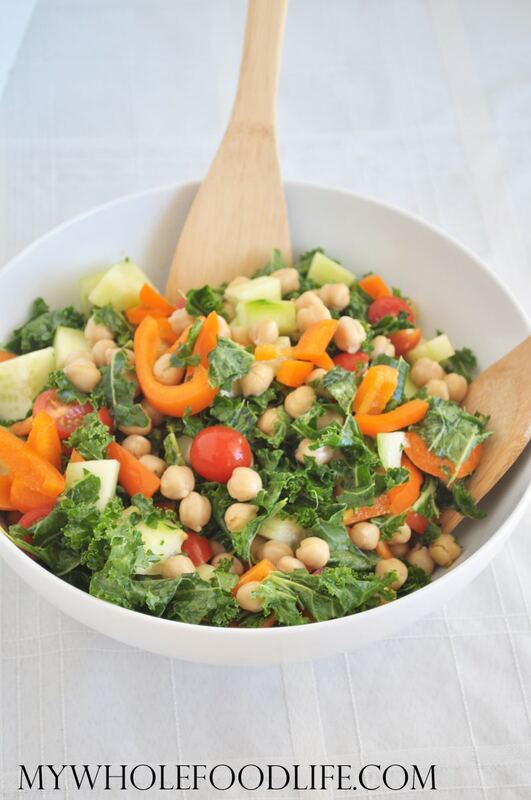 This healthy salad is vegan and gluten free! Have you ever tried kabocha squash? OMG it’s my favorite out of all the squashes. It is super sweet and buttery. Perfect for this Kale White Bean Squash Soup. I used my Instant Pot to cook the squash and it only took like 7 minutes. Love that thing! I highly recommend one if you don’t have it. I will also give directions for roasting the squash in the oven. 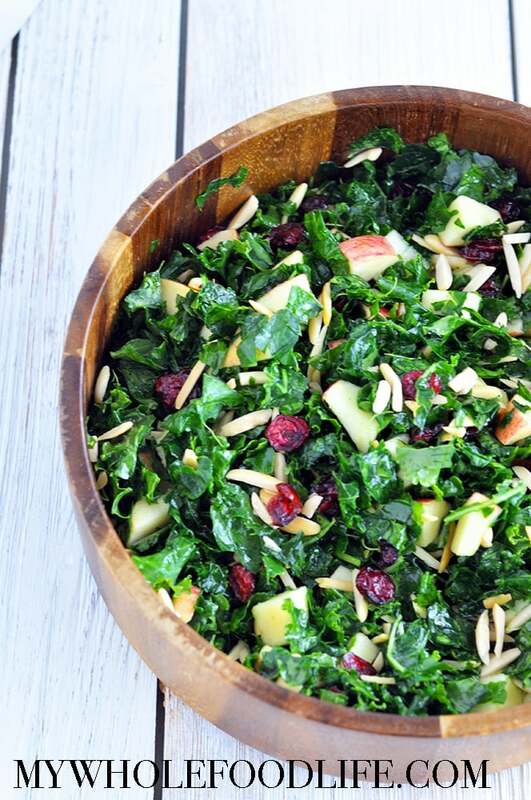 This is a great way to get more kale in your diet. This healthy soup recipe is perfect for fall. The squash gives it a nice sweetness that goes very well with the beans. It also helps to offset the bitterness of the kale. I used curly kale, but I think any kind of kale could work.